Finance Minister Arun Jaitley, while calling for a greater degree of transparency in political funding, said India was being funded by invisible money for 70 years. Delivering the inaugural address at the Delhi Economics Conclave 2017, Jaitley criticized the political parties and the Election Commission of India (EC). He said the latter had failed to keep a stringent check on political funding, and added that the political system should be more transparent. Commenting on the various financial steps taken to boost the economy, including the demonetisation drive and Goods and Services Tax (GST), Jaitley revealed that net impact on direct and indirect tax system. "Demonetisation coupled with the GST will make cash generation more difficult and lead to greater tax compliance and digitisation. If we look at the totality of steps taken, each will not only have great long term impact, but also substantial ethical rationale behind it" said Jaitley. While the introduction of finance bills periodically left a marginal impact on the economy, the lasting impact was not significant, and therefore, certain steps had to be taken to create the desired impact, Jaitley explained. 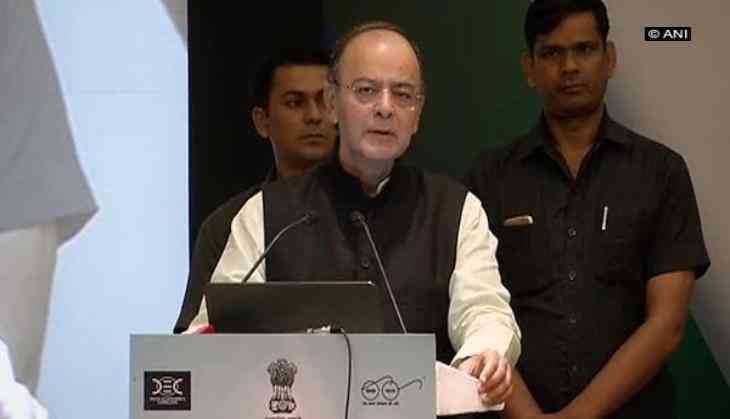 "In additional to developmental challenges, including our ability to spend more on infrastructure, large investment in rural areas in education and healthcare, digitisation and cash are two important subjects to be discussed, since these areas had been overlooked, which lead to a large amount of tax non-compliance, illegal transactions and created a situation of helplessness," revealed Jaitley. One of the key factors, Jaitley believes which lead to a radical alteration in the functioning of businesses, was the introduction of the Insolvency and Bankruptcy Code, 2016, which helped curb round-tripping of tax evaded money. Additionally, the introduction of the benami property law in 2016, which was framed in 1988, was projected to be a warning to those indulging in the benami route through shell companies. "One easy way of avoiding taxes was the benami route. However, once penal penalty was introduced, defaulters were informed of the dire consequences of the malpractice, thus creating a significant impact on those undertaking cash transactions outside of the country illegally. The sooner the concept of shell companies collapses, the better it will be for the economy," said Jaitley.